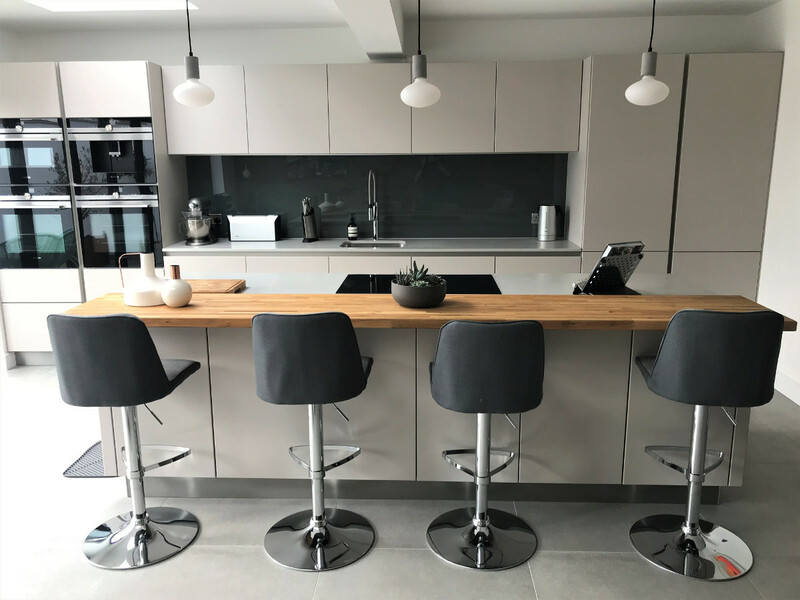 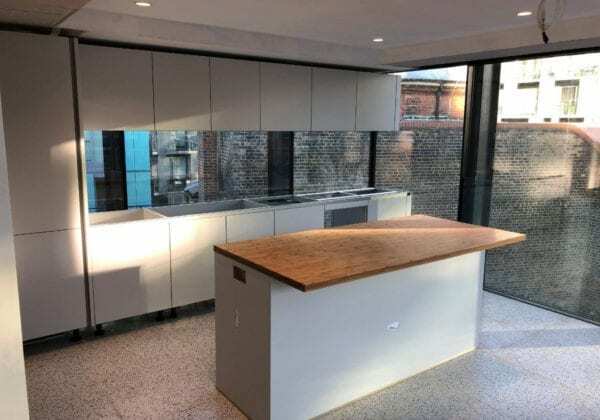 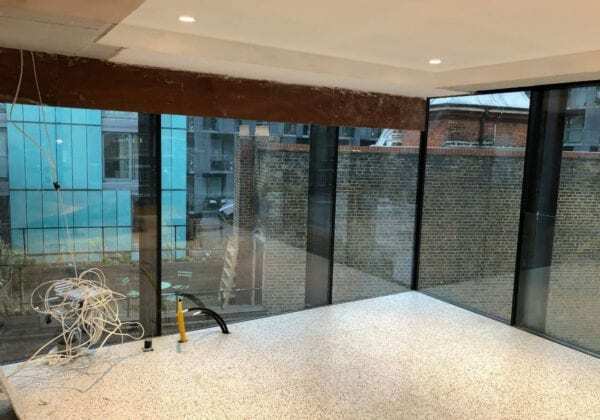 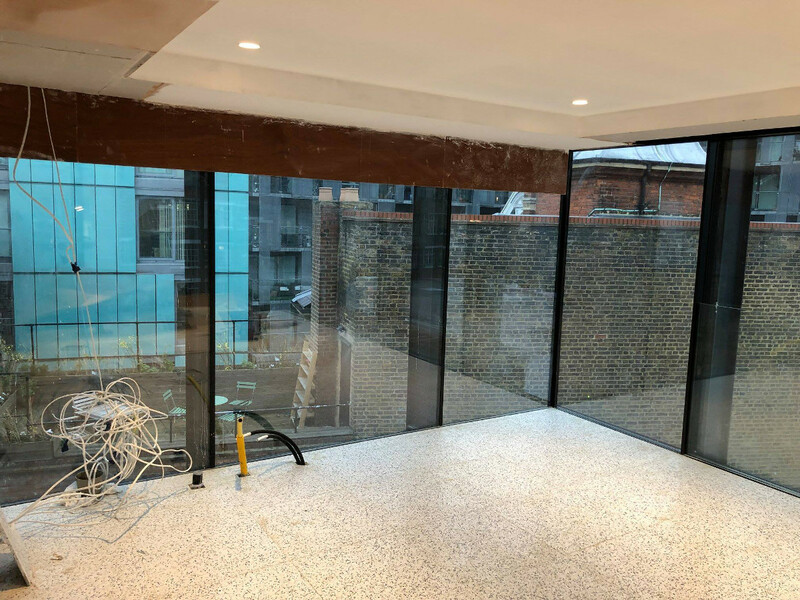 A new challenge for us in Barbican, central London, late 2018, how to safely install tall and wall units when the walls are made of glass? 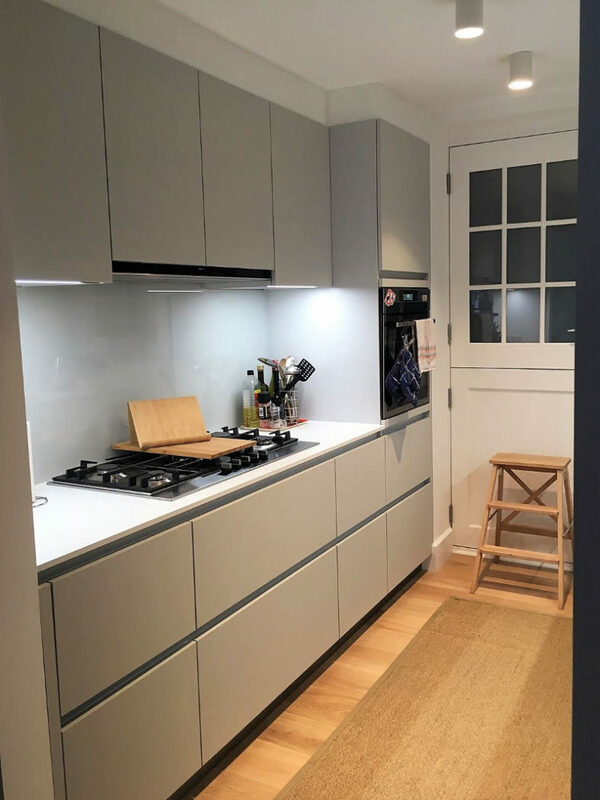 A bulkhead was fitted to the ceiling which then supports the weight of the units. The photo shows the kitchen 3/4 complete, a big thank you to our fitter Adrian and designer Carl.